HDFS is the primary distributed storage used by Hadoop applications. A HDFS cluster primarily consists of a NameNode that manages the file system metadata and DataNodes that store the actual data. The HDFS Architecture Guide describes HDFS in detail. 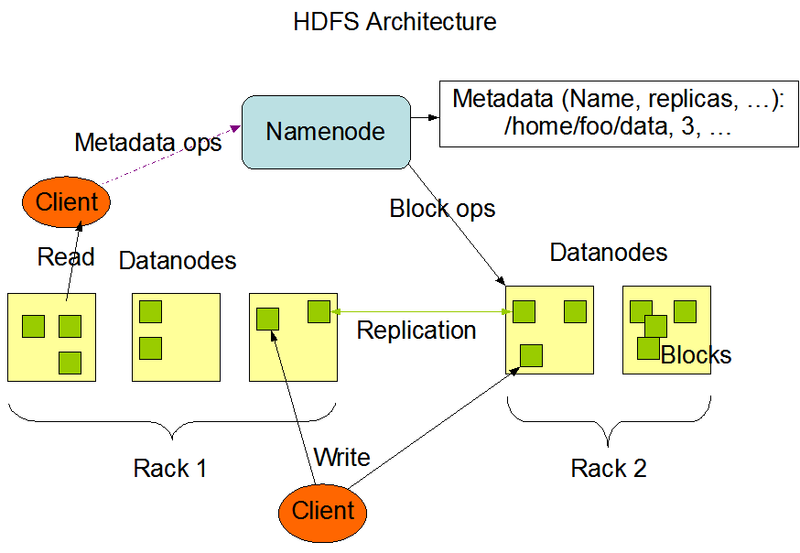 The HDFS architecture diagram depicts basic interactions among NameNode, the DataNodes, and the clients. Clients contact NameNode for file metadata or file modifications and perform actual file I/O directly with the DataNodes.